(ThyBlackMan.com) In the wake of Madiba’s death there has been a lot of talk about “living in the spirit of Nelson Mandela”. It took less then a week to forget all about it again. Nelson Mandela’s memorial was insulted on-line, by media as well as social media. Most of the “white” media could not understand the African custom of celebrating life instead of death and berated the South Africans for dancing and singing. They then later expressed their disappointment with the “boring” and “messy” memorial, ignoring the fact that it was explained that the ceremony was organized to please non African (white?) viewers (which led to many South Africans being left most disappointed of all). What was clear from the tone was that the media looked down on the Africans and was chuckling “Aw, look at those sad primitive blacks trying to organize something. We in the West are so much better at this…” Ok, yes, the memorial might not have been as good as expected. But what cannot have helped is that most TV media kept going away from the memorial for studio conversation, making it feel uneven. Several times this happened when there actually WAS a performance instead of a speech. For some reason the media was also keen to give the impression that South Africans cared so little about Mandela that they didn’t want to sit in the rain. The truth was: the government did not mark the day as an official holiday, so most of South Africa would risk their job had they attended – or stayed too long at, the ceremony. This of course is part of the medias ploy to make Nelson Mandela a global (white friendly) cuddly Buddha, instead of having him remembered as the African freedom FIGHTER he was. The message the media wants us to take from Mandela is “ignore racism, just sit forgive and wait.” Ignoring the years he fought to bring equality, he did not sit quietly – he worked hard. Later, when he started his journey as peace maker he still did not sit quietly: he talked to both sides, he listened and tried to come up with solutions. Then there was the poor Thamsanqa Jantjie whom was hired to perform sign language at the memorial, but instead became a global ‘joke’. Yesterday he revealed he suffered a schizophrenic episode during the service and was hearing voices in his head. Instead of making people understand what had happened, the confession made things worse for Thamsanqa as the world once again displayed it’s shocking lack of empathy for those suffering from mental illness. Joke after joke was fired off at both Jantjie and others with a mental disorders expense. As a psychologist it hurts to see how little people understand about the pain of those suffering mental problems. It is not a joke, it is as serious as – and sometimes more serious than – any physical illness. The victim often does not know what happens when an episode starts – imagine watching a horror-film and suddenly finding yourself in the middle of it – all you feared is coming to life and happening to you. 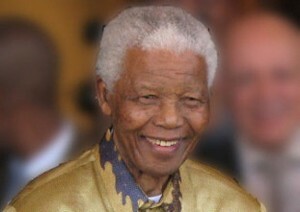 Where Mandela would have reached out to an ill and confused man and probably made sure he received the right care and protection, his so called “fans” living in “his image” vilify this man, never once trying to imagine the pressure of standing in front of billions, behind the most important people in the world. Yes, this pressure might very well have brought on a schizophrenic episode, it might even have caused a non patient panic and difficulty to keep up with endless words for hours on end. Don’t forget Thamsanqa Jantjie started of the ceremony doing quite well and that it was only later on that he faltered, he did his best under difficult circumstances. If there have been problems in the past that those that hired them were aware of, then they are at fault for putting Thamsanqa out there in the first place. The organisers should have protected him from himself, don’t blame the victim. 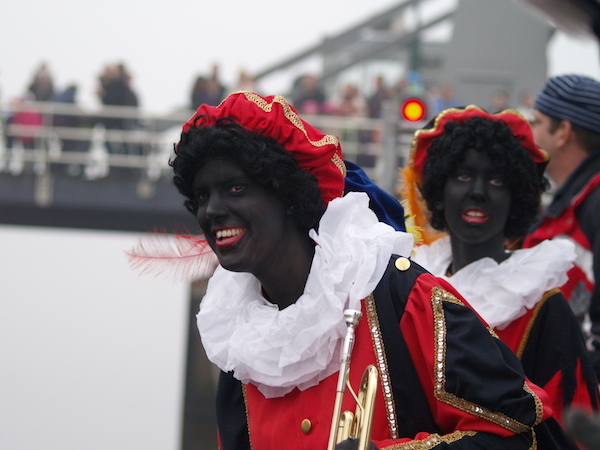 Earlier this year I wrote an article about Black Pete for ThyBlackman on how friends and family of mine, living in the Netherlands suffer the yearly ritual of Sinterklaas. To conclude this article I return to the subject, as the debate briefly re-ignited, sadly, after the death of Nelson Mandela. “’Daddy, why was Mandela important?’ ‘Because he was the first Black Pete”. These words from the MP of Amsterdam caused shock-waves in the black community of the Netherlands. But things didn’t end there: Dutch paper De Telegraaf posted a compilation of reactions to Mandela’s death, beginning with the text: ‘There have been reactions abroad and in the Netherlands to the death of Nelson Mandela, which happened, of all times, on Sinterklaas evening (with Zwarte Piet).’ After many complaints the paper apologized, saying it was meant to be a joke. All this and many, many more supposedly “funny” comments (even from a Dutch radio station) caused a major resurface of the Black Pete debate that has raged in the Netherlands since October. This debate has created a massive rift between black and white in the country and made many more aware of racism then ever. This is just from one country, and yes, you only had to watch Jon Stewart’s Daily Show to see the bizarre reactions from American leaders and citisens. I think it is important that these reactions are shown, to make people aware that no-one, not even Nelson Mandela, was safe from racism, despite world leaders that used to protest him now suddenly claiming they thought he was a saint. At least they are more honest then the media, who have been trying to mould Mandela into a puppet for whatever cause they now want to claim Mandela either did or did not support. Who try to make Nelson Mandela the late spokes person of their own campaign. Who use a brief moment of Obama taking a picture (during a festive session of the memorial, not a reflective section or a speech) to distract attention from what might have been his best speech ever, most people will only remember the “selfie” now and forget the rousing reception he received, which is exactly what was intended to happen.The death of Mandela should make us get up to try and make a change. We need leaders, new bright, strong leaders ready and willing to talk peace, to listen to all parties and all races. Nelson Mandela was about not giving up. He was about standing up for your ideals, talking, trying to keep the peace when it seems impossible and making an effort to understand the other – no matter what differences you have. When both sides understand the other, only then the road to peace and equality can be taken. One may also connect with this talented psychologist & writer via Twitter; Divinevarod and Facebook; D. Cohen. If a black man can not be respected while he is living why do we trip out on him being disrespected in death? As long as we live, we are never going to receive the level of respect from our fellow men on this earth. We have yet to be able to honestly discuss the race issue in a logical manner. All of the talk shows, celebrities, and dignitaries have avoided this issue like it was the BLACK PlAGUE, no pun intended. In America we have not scratched the surface of attaining equality in a land we built and died for. We did not ask to come here, but quickly adapted to the new world and did wonderful things in order to survive and maintain our existence. Being forced to give up our culture and having our families broken up in the process, I for one think we exceeded the expectations given to us. We have nothing to be ashamed of as those of us with open eyes know from whence we have come. Our ancestors were kings and queens of civilization from the beginning and will be again in the end. Several of forebearers gave their lives for us to enjoy life and I will not allow the sacrifice to be in vain on my watch. South Africa should bow down and acknowledge that this man was in their midst and exemplified forgiveness to the highest degree a man could ever achieve in consideration of how he was treated. The customs and traditions of our African people will always be mocked and misunderstood by a society that has never taken the time to learn and appreciate what being a man is all about. Mandela touched the world and the world was touched by his passing. His ideals will never die and his spirit will live on in those of us who choose to make a difference in this world. No man can truly know what he/she would do if put in another person’s position, but we love to act like we know. Mandela did something that most human beings find impossible to do, he forgave, but did not forget. He did not misuse the power base that recognized him as a true leader. At just the drop of the word from him many people could have seen a bloodbath never experienced in the modern day times we live in. People would have welcomed death just the chance of eradicating the evil that was done to them. But he was not that kind of man and he led by example. We should all be grateful just to have been here to witness this true miracle of how we should all strive to live.